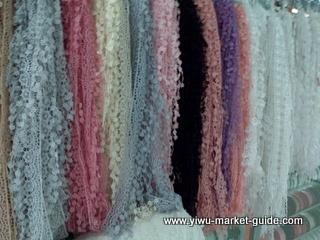 Products: thread, ribbons and laces. Location: F3, D4, Yiwu international trade city. Opening hrs: 09:00 – 17:00 all year round except a close down during Spring Festival. As clothes, bags, scarves and other accessories business promising in Yiwu, the demand of thread, ribbons and laces is also boosting. 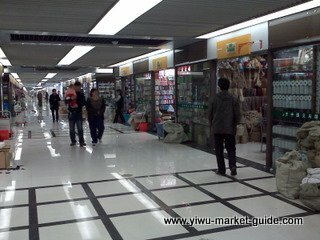 This 1,000 suppliers wholesale market is actually supporting thousands of factories in and around Yiwu. Most of these suppliers are from Zhejiang province which is famous in China for knitting and weaving business in centuries. 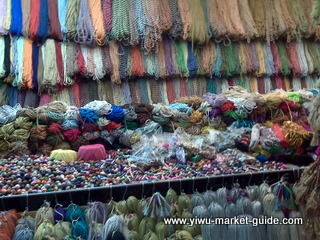 Products inside this market include ribbons of almost all types, all widths, and all thicknesses, threads and hundreds of types of laces you see with clothes and scarves. However, quality inside is market is still low-end and mid-end. 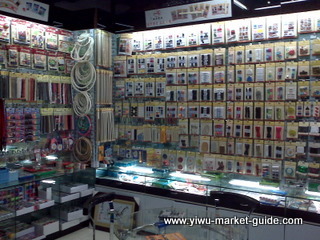 Once we wanted to source a kind of fine quality elastic straps for notebooks, unfortunately, we spent half a day searched this market inside out, but couldn't find any. 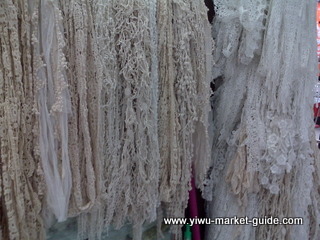 In the end, we got the answer from one supplier "we can't sell this fine quality products here"
MOQ here are usually huge. 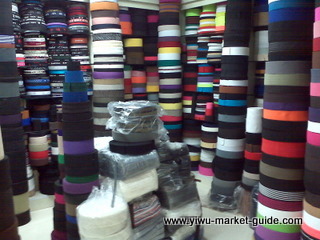 Take elastic straps for example, its MOQ can be as high as 50,000 meters per color. But of course, for regular color like white and black, they keep stocks. You can just order 10 or 20 meters. Visiting tips: usually it's not a problem to take photos here, but smoking inside the shops here is a big no no. Smoking can cause a huge disaster in this section.